1. 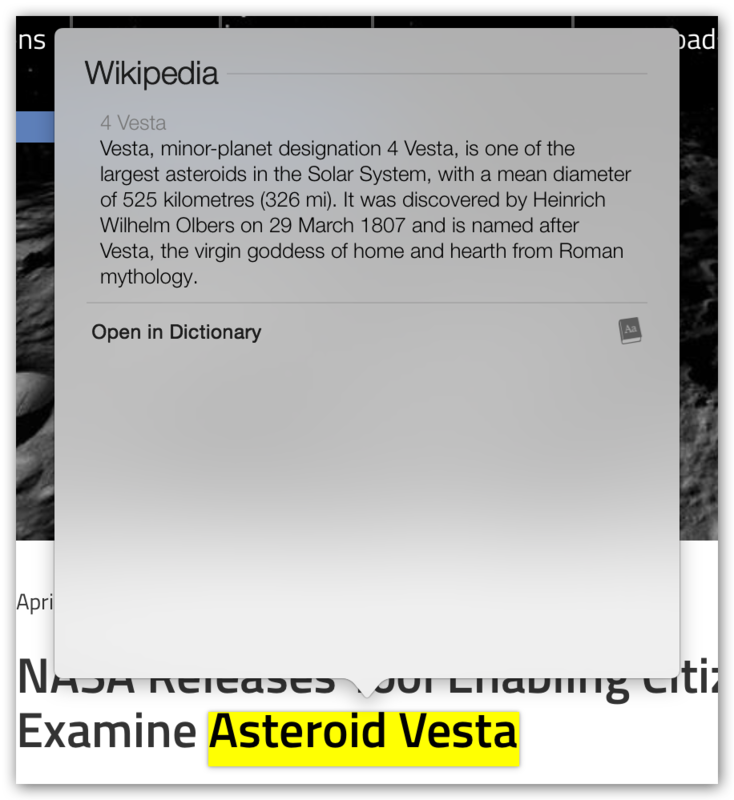 Additional features of Look Up. 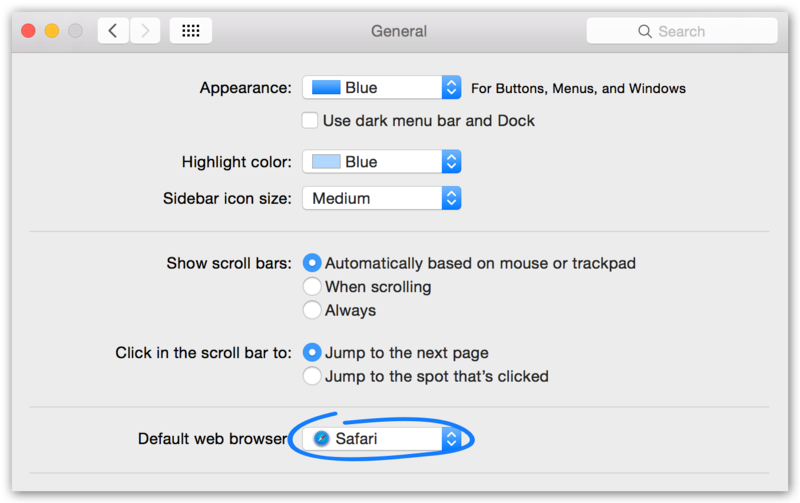 Before Yosemite 10.10.3 you could use shortcut Command+Control+D or right click to look up the meaning or wiki description for highlighted word or phrase. With Yosemite 10.10.3, Look Up can now search through iTunes, App Store, movie showtimes, nearby locations, and more. Notice that information tab will change depending on the word context. 2. Updated Spotlight search tool. Spotlight brings now more capabilities to make the interface cleaner and smoother. Press Command + Space to access it from anywhere on your Mac. 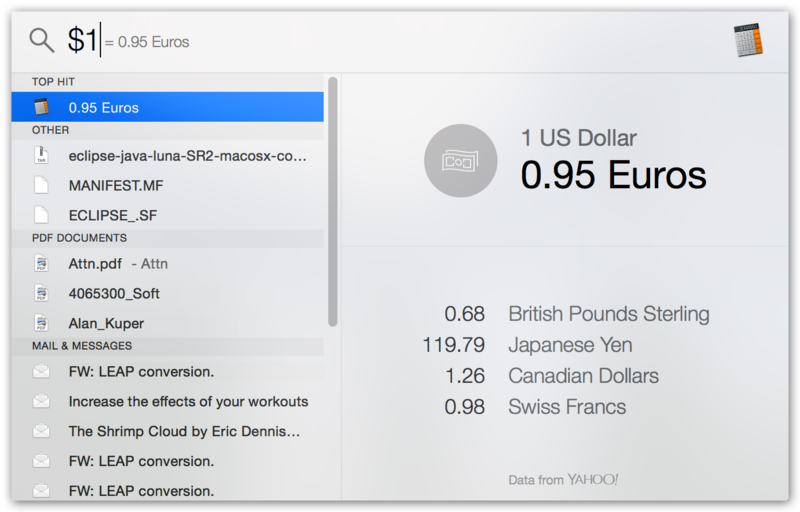 Then you can launch apps; search files and folders, mail and messages; find places on a map or even calculate measurement and currency conversions. Move the cursor to the vertical line in the Dock and press the Shift key, then drag the Dock panel to the bottom or any sides of your screen. You can manage it at any time, depending on how things are located on your screen. 5. Easily disconnect from a Wi-Fi network. Network disconnection without turning off the wireless hardware, especially when you can do that quickly is a necessary option for both advanced and novice users. 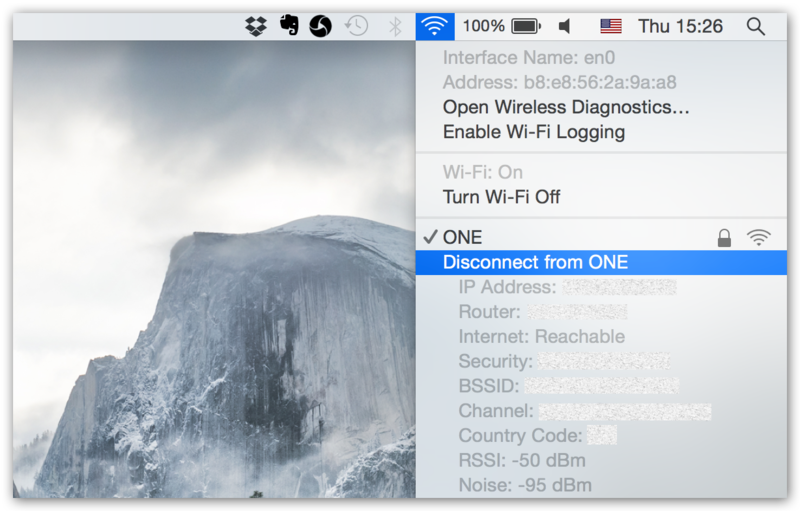 Just hold Option key and click the Wi-Fi menu and you will see revealed disconnect option under the name of current connection. BTW, don’t forget to back up your Mac before updating!